California has some of the strictest gun laws in the country, and more laws on the books regarding guns than any other state. This makes it very easy for the average person to lack a real understanding of what’s allowed and what can get them into trouble when it comes to firearms. There are specific laws regarding who can own a firearm, the process required to legally buy a gun, and who is forbidden from owning a firearm. Anyone who violates these restrictions and laws can face serious consequences in the form of criminal charges. Depending on what laws a person is charged with violating, the results of a conviction can include lengthy prison time, fines, and increased restrictions on any future gun ownership. When dealing with a possible violation of California gun laws, it is vitally important to have an experienced attorney to defend you and aggressively work to have charges reduced or dismissed completely. Who Can Purchase a Firearm in California? In California, you must be a resident of the state and at least 18 years of age to buy a long gun, or 21 years of age to purchase a handgun. You have to have a state-issued driver’s license or an identification card that proves your identity and your residency within the state. 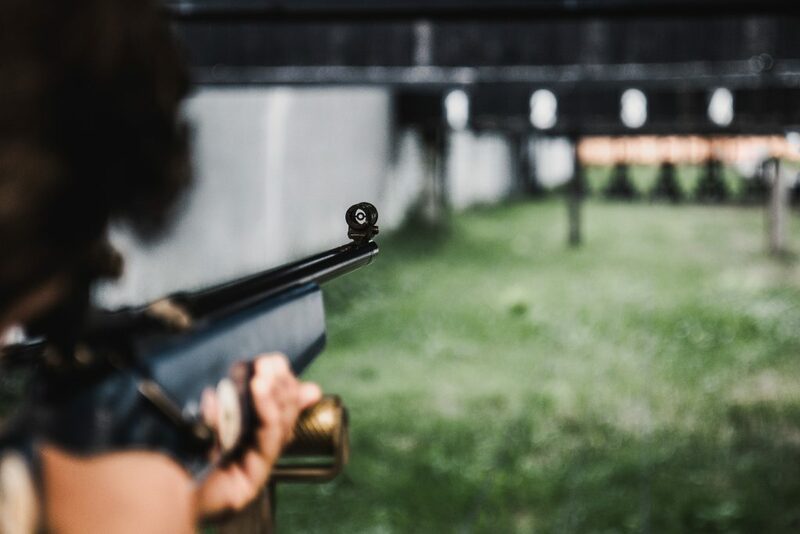 There are also numerous restrictions that forbid certain people from purchasing a firearm, but these are the minimum requirements to even begin the process. What’s the Process to Buy a Gun? You have to go to a licensed California firearm dealer and present your identification to show your age and residency. From there, you have to submit to a background check before you can legally purchase a firearm. This background check determines if you are eligible for a firearm purchase based on any criminal history and other factors that forbid certain people from buying a gun. If you pass the background check, which most people who go to buy a gun do, then you must possess a Firearm Safety Certificate issued by the state. To receive this certificate, you have to pass a 30-question written test that is given by a Department of Justice Instructor – study guides are available on the DOJ website. Once you have this certificate, then you can complete the paperwork to make the purchase – at which point you must wait 10 days before you can actually take possession of your firearm. Who Is Forbidden from Buying or Owning a Firearm? What Are Some Charges Related to Gun Laws in California? “Felon with a firearm” charges are brought against someone with a felony conviction found to be in possession of a gun. This is a felony charge that can result in up to three years in jail and a fine of up to $10,000. “Carrying a concealed firearm” charges can be brought against someone with a gun concealed on their person or in a vehicle without a permit. This is a misdemeanor that can result in up to one year in jail and a fine of up to $1,000. “Carrying a loaded firearm in public” charges can be brought against someone carrying a gun on their person or in a vehicle, which is not locked in the trunk, which has one or more unexpended cartridges or shells in it. This is also a misdemeanor with similar penalties as a concealed firearm – though someone can be charged with both offenses. Possession of a firearm at certain prohibited locations such as schools, government buildings, and public transit facilities. Depending on the location, this can result in felony charges and up to seven years in county jail. Is a Lawyer Really Necessary? Yes, an experienced defense attorney is absolutely vital when facing any kind of gun charges in California. At the very minimum, a good attorney can argue to have charges reduced in order to minimize any possible jail time or fines. In many cases, a lawyer can argue against the charges completely and provide a defense that pushes for a dismissal of the charges. From the moment you are arrested on any kind of criminal charge, you need an attorney to represent you and make sure your rights are protected. If you’ve been charged with a firearm offense, call the experienced legal team Werksman Jackson & Quinn LLP at (213) 688-0460.